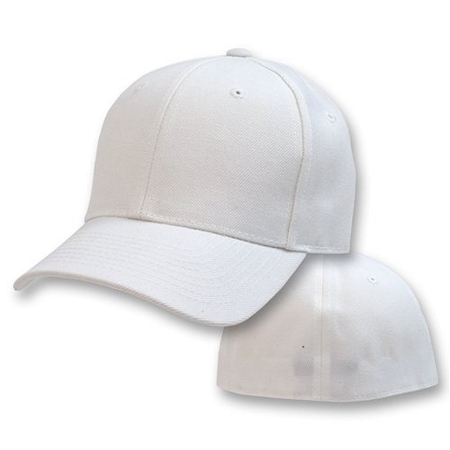 Classic and comfortable, the 4XL White FlexFit cap is a must. The best hat for me. After years of searching I finally found a cap that fits perfectly. I have a huge head, it is massive. And this cap fit so well. I am so happy. I have already bought a second one. I have a huge head, and I've never been able to find a hat that fits me right. If I buy one of those "Flex-Fit" hats at most stores, it will give me a headache because of how tight it fits. Bought the 4XL Flex-Fit here, and it may even be slightly big. Love that I finally found a hat that fits my huge melon. Just bought 1 hat at first, to see how it fit... I'm about to order several more in different colors. I am soo glad to have found this site. I called around the nation to find a hat store that sells hats that I could fit/wear comfortably. I found 2 places that were willing to stretch the hats they have for fitting but they would not allow me to purchase it over the phone. They only referred me to there online site-BUT-there online site DOES NOT offer the option to stretch the hats. I purchased 2 of these hats at the size I measured for myself. THE HATS ARE THE PERFECT SIZE AND RIDICULOUSLY COMFORTABLE! I LIKE THAT THE HAT HAS AN ELASTIC BAND THAT ALLOWS IT TO STRETCH. IF I HAD KNOWN HOW WELL IT WAS GOING TO FIT, I WOULD HAVE ORDERED 2 MORE. I LOOK FORWARD TO ORDERING FROM THIS SITE AGAIN.